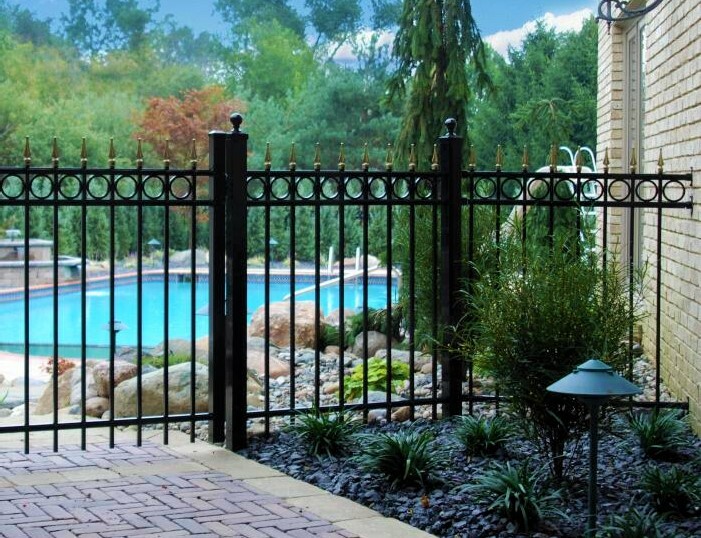 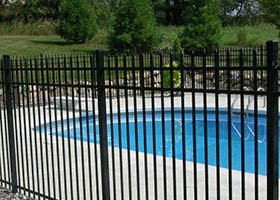 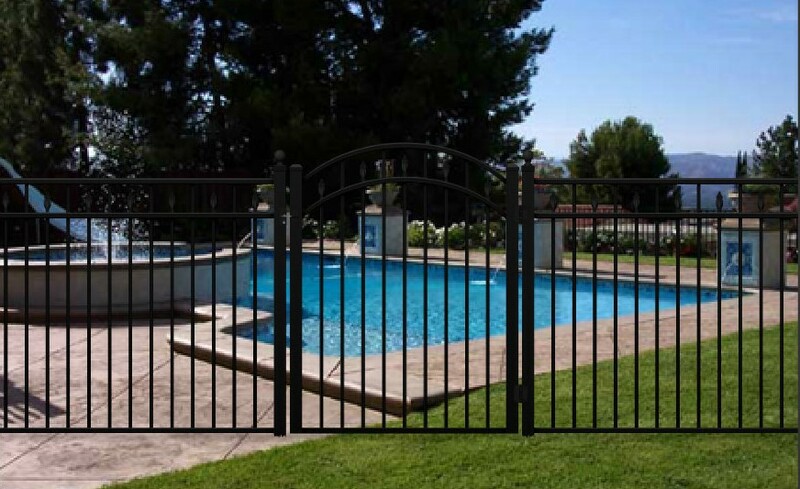 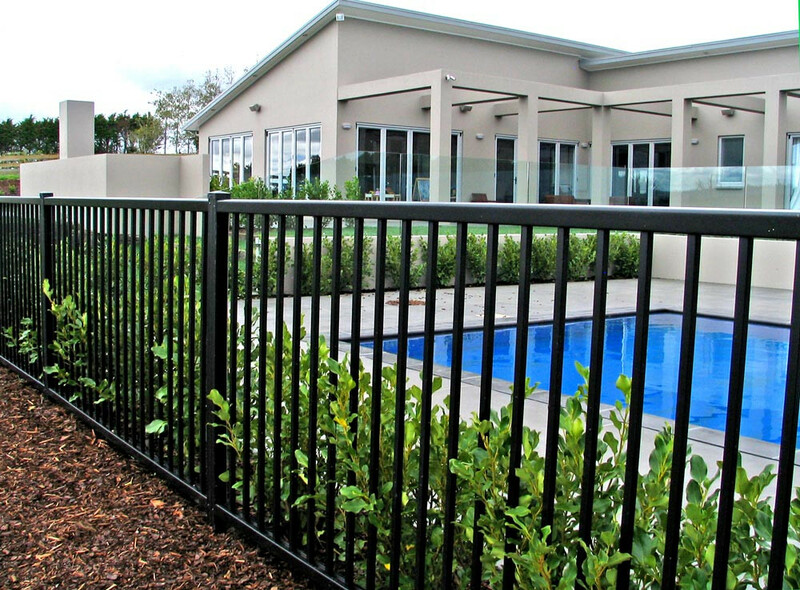 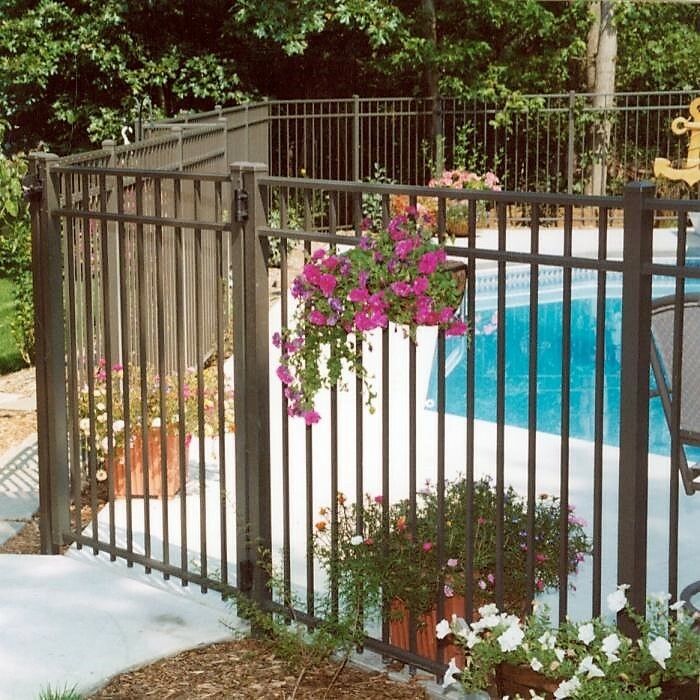 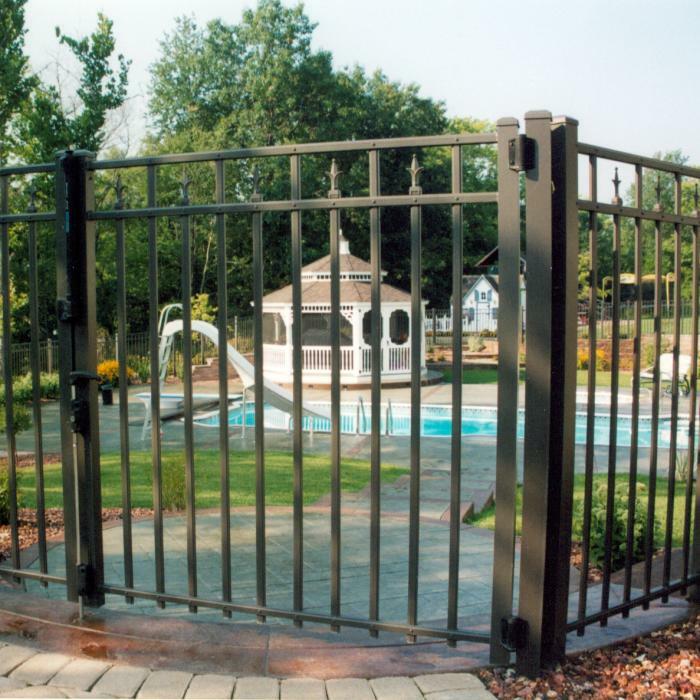 Our heavy duty aluminum fence panels provide an elegant and stately accent to any pool or yard area. 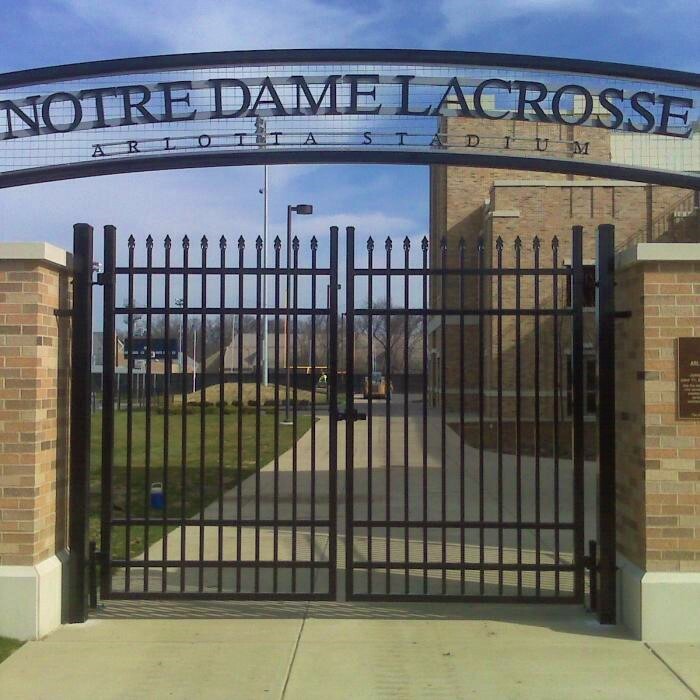 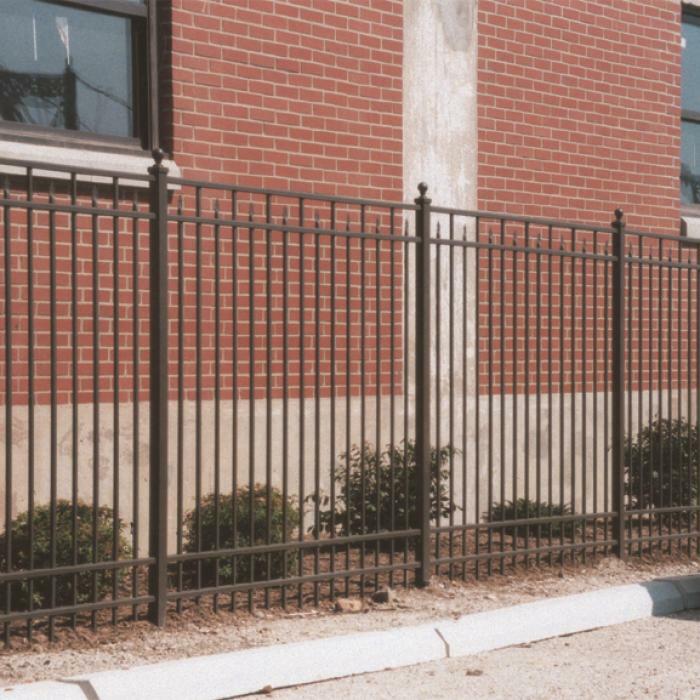 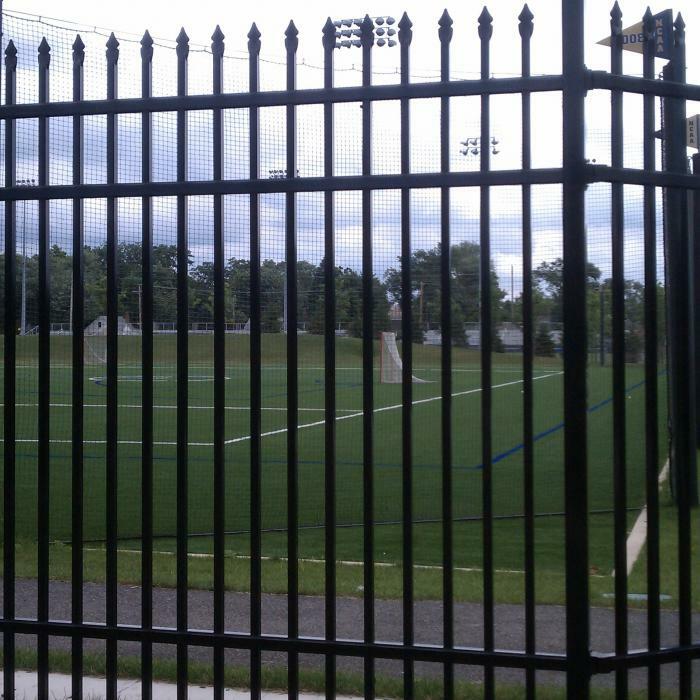 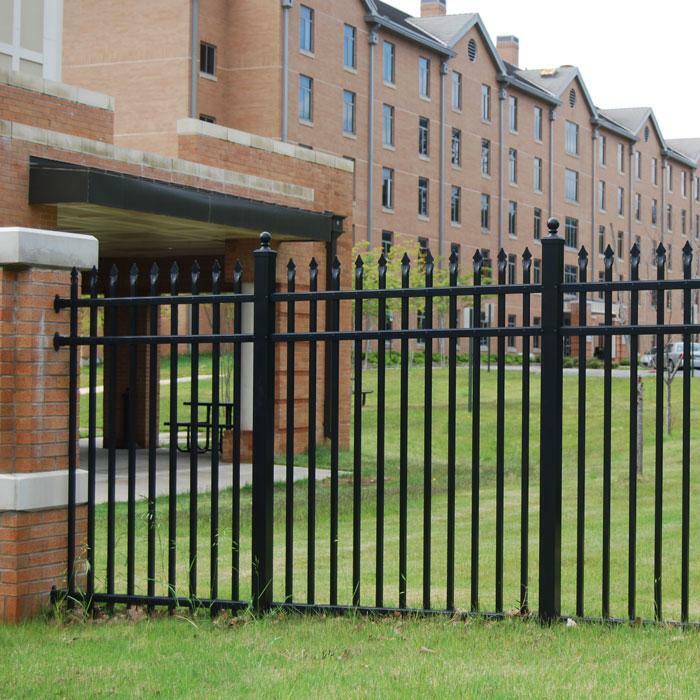 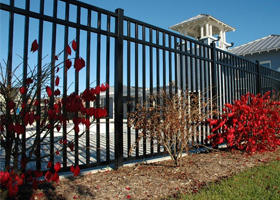 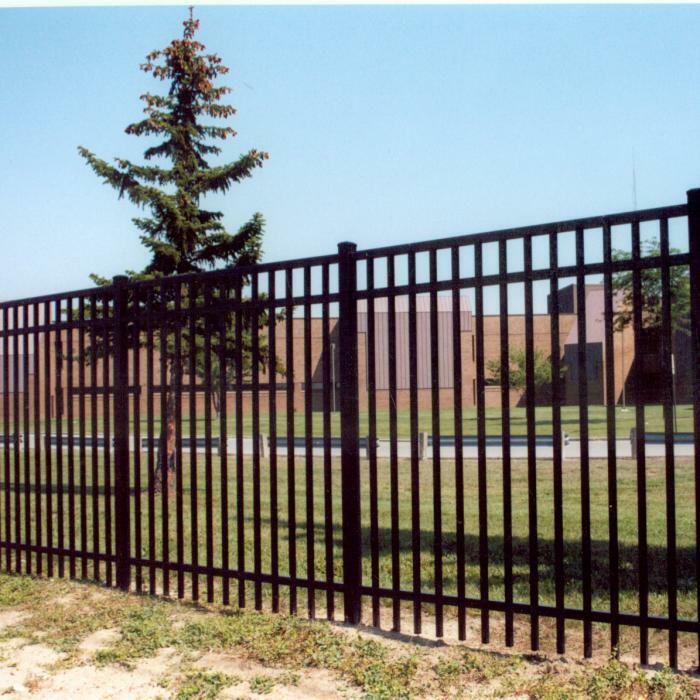 Our aluminum fence is commercial grade of the highest quality based on years of research. 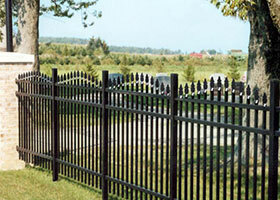 View below our large selection of Aluminum fence panels. 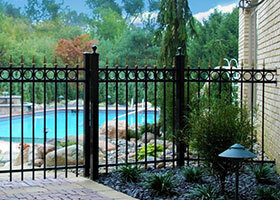 We guarantee the best prices for the same quality material you’d expect from the most expensive vendors. 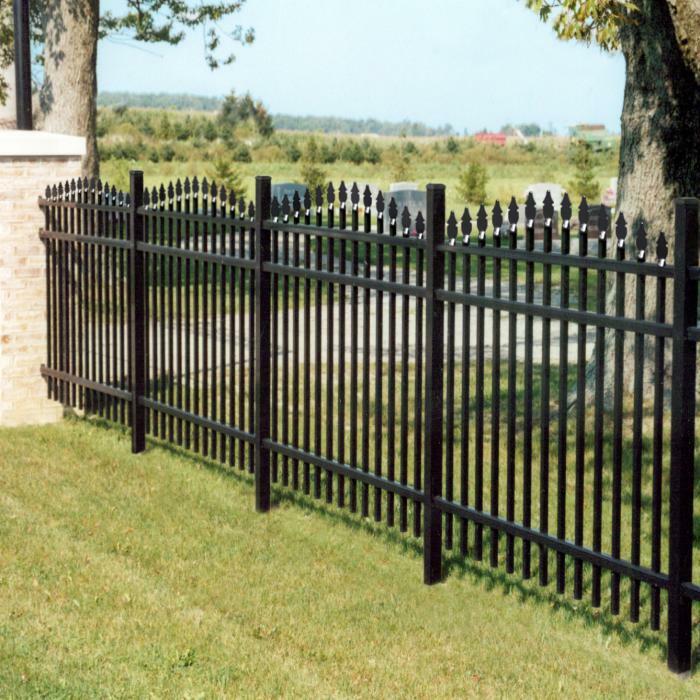 Our aluminum fencing is available in many different styles, and heights from 4′ tall to 8′ tall aluminum fence. 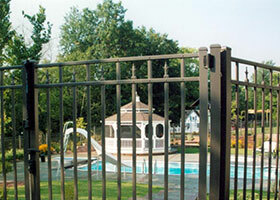 All of our aluminum fencing is made to order and is powder coated to your color choice. 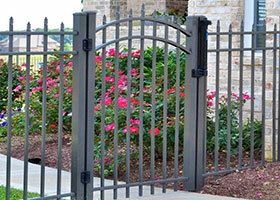 We offer various color options including: Black, White, Gray, Beige, Bronze and Forest Green. 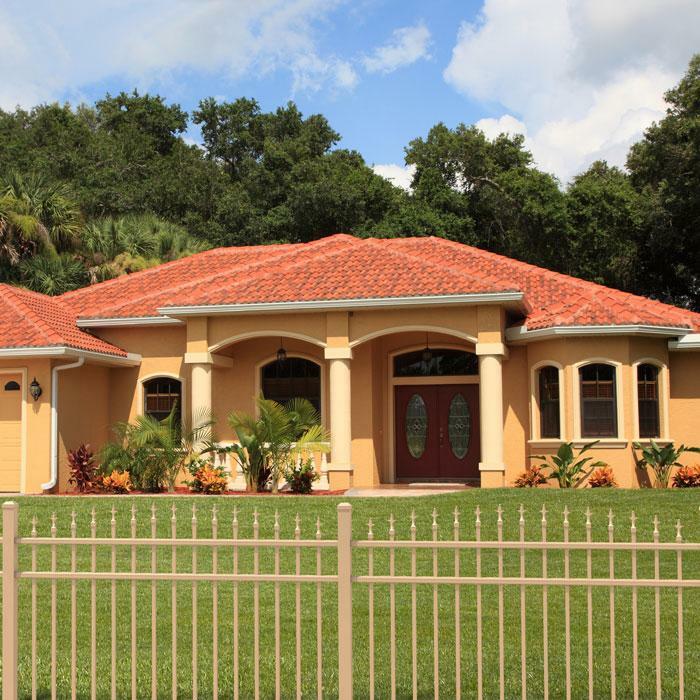 Custom colors are available upon request. 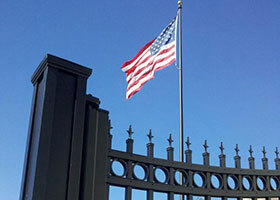 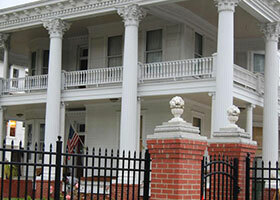 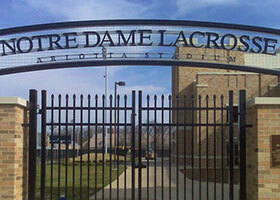 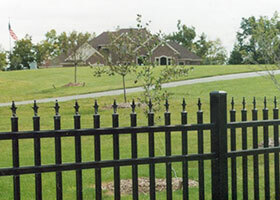 All of our aluminum fence products are manufactured in USA and shipped direct to your project site. 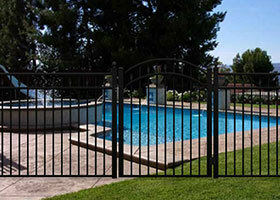 Contact us 24/7 for a free quote. 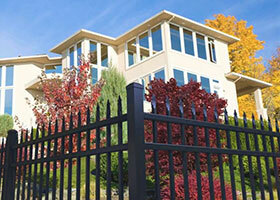 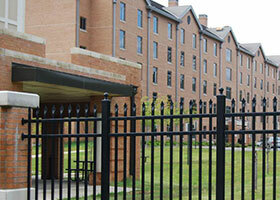 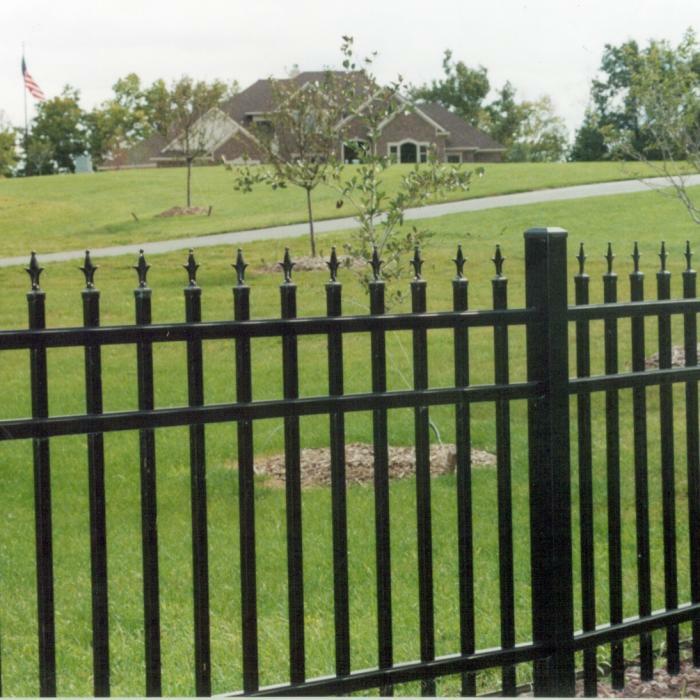 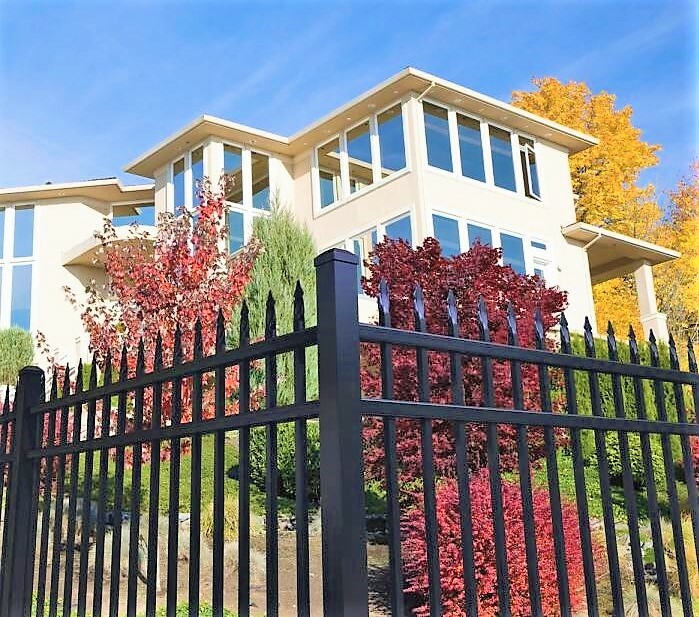 Aluminum fencing is a very popular option for both residential and commercial applications. 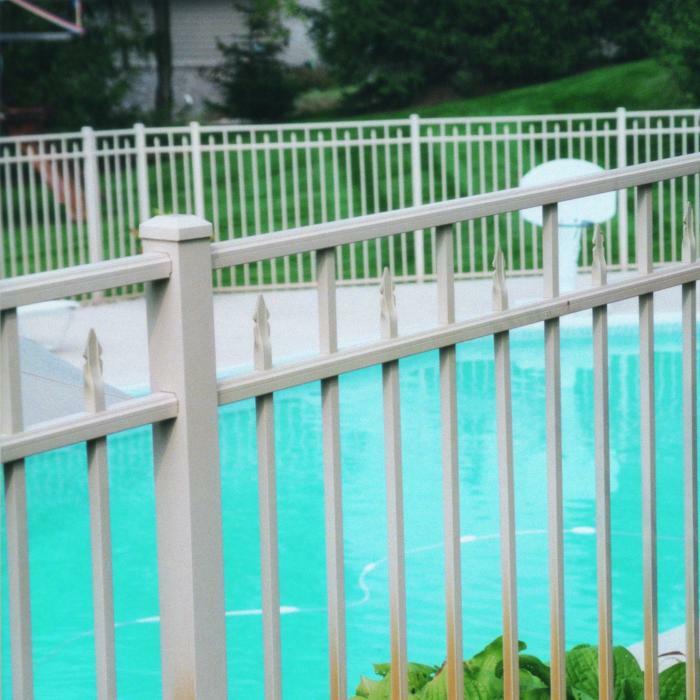 Beware of big box store cheap knock-offs coming from China that may contain lead. 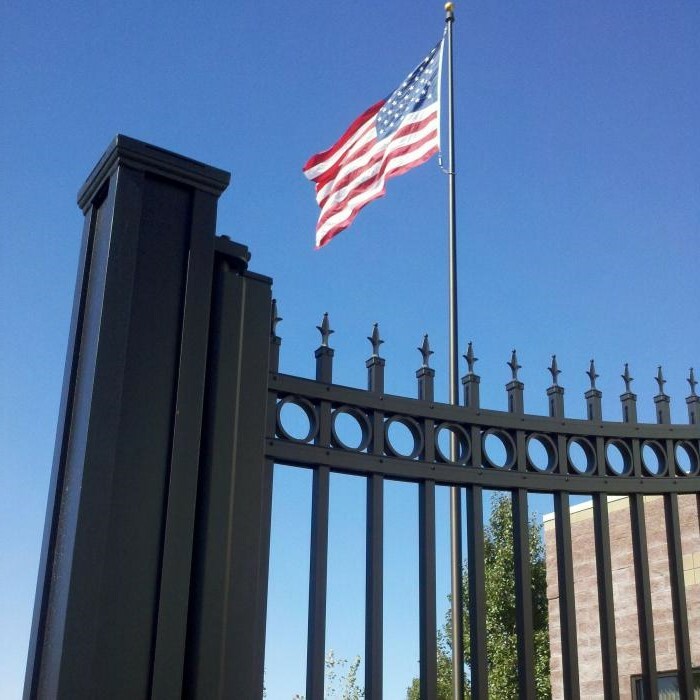 All of our products are made with the highest quality aluminum manufactured here in USA and shipped fully assembled, making for fast and easy installation. 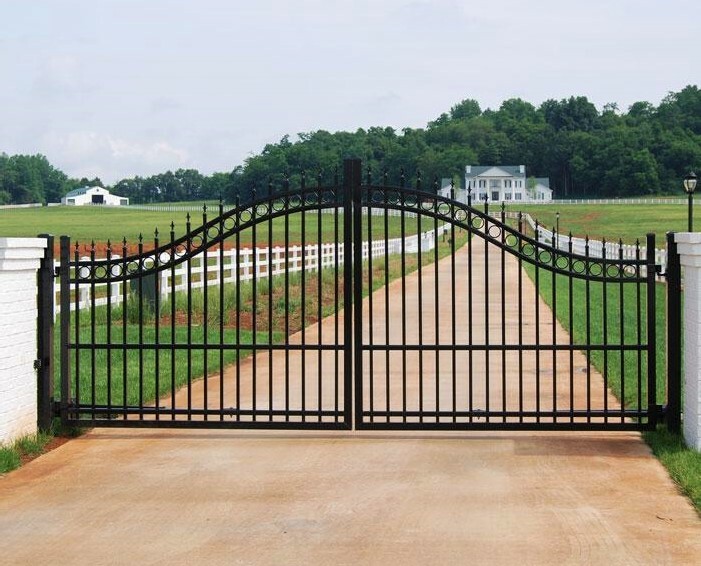 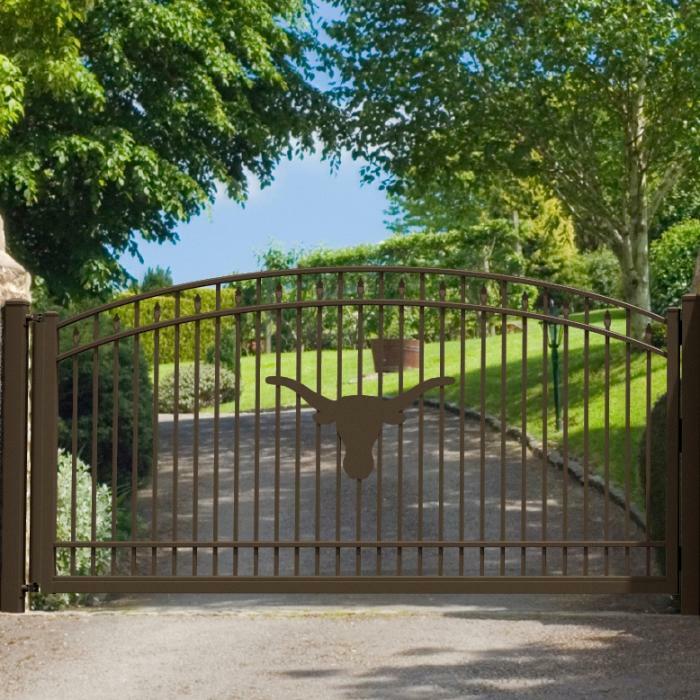 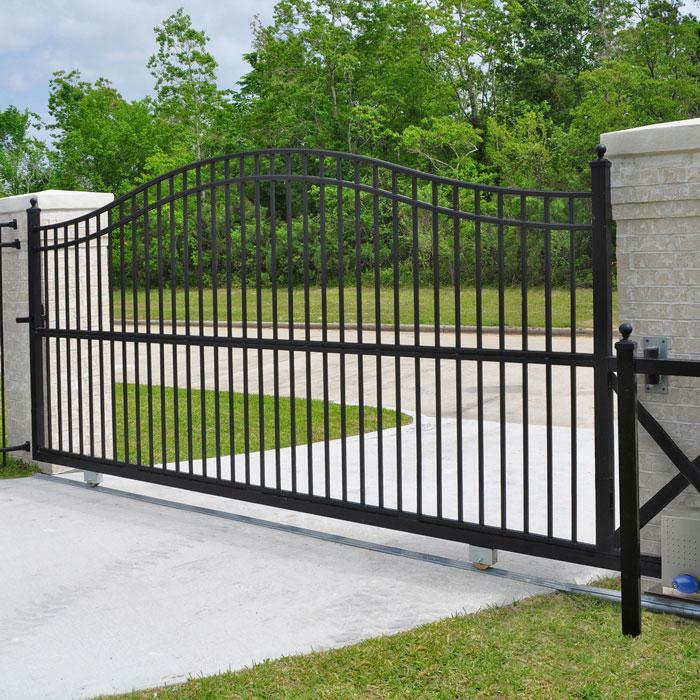 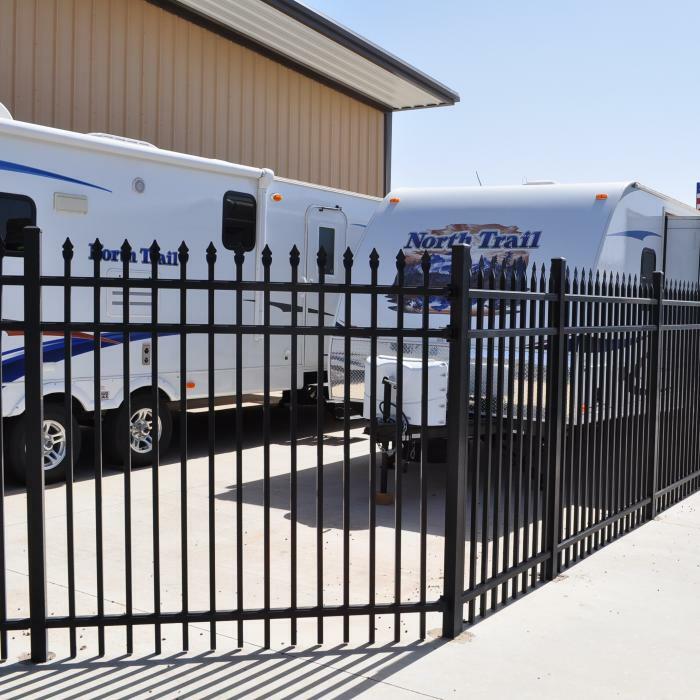 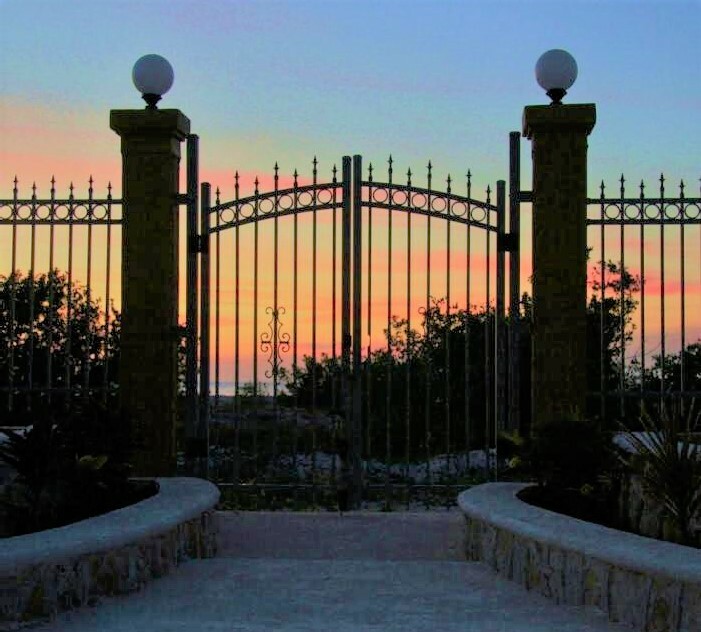 Matching aluminum walk gates and aluminum double drive gates, plus arched gates from 4′ wide to 16′ wide for all fence styles below. 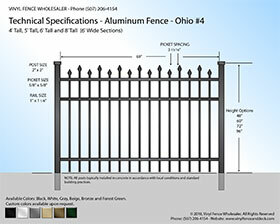 Aluminum Fencing Specs: Spacing between pickets is 3 7/16″ Alloy – 6005 T5 – Minimum Strength 35,000 PSI. 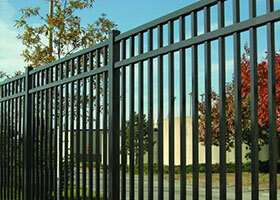 Advanced Powder Coating System. 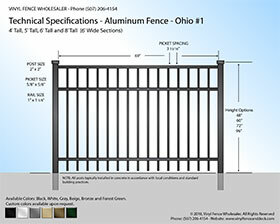 Rails: 1 1/8″ x 1″ Nominal – .082″ Side Walls and .062″ Top Walls. 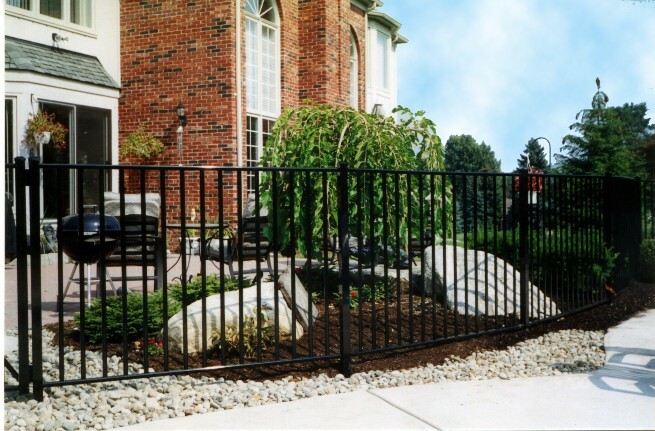 Pickets: 1″ x 5/8″ – .062″ Wall. 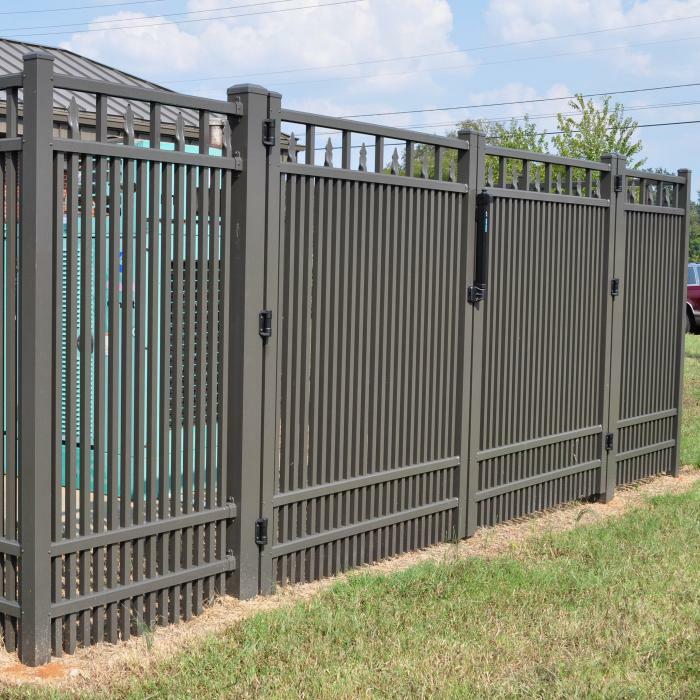 Posts: 2″ x 2″ .080″ and 3″ x 3″ x .080″ Gate Posts: 2″ x 2″ x .125″ Can handle up to a 6″ grade change over 6′. 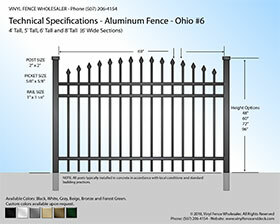 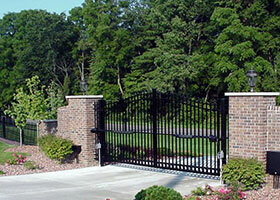 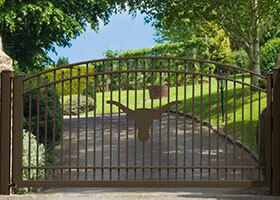 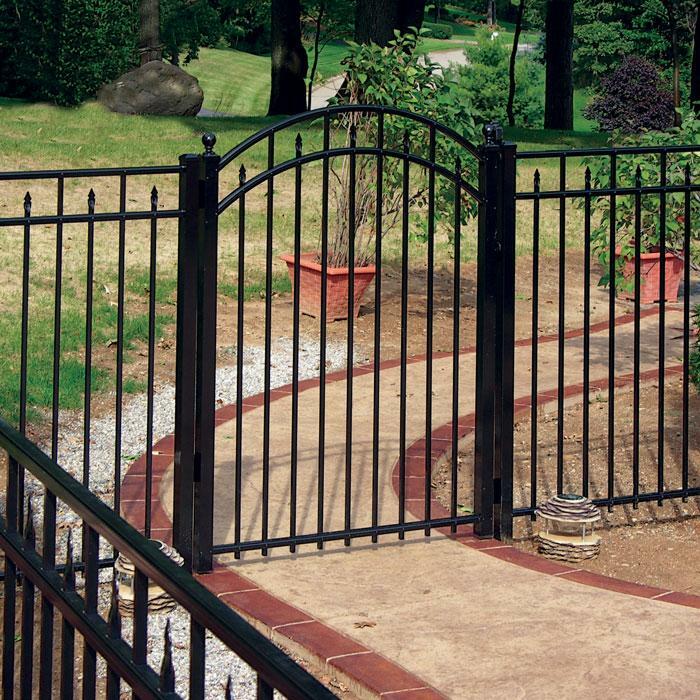 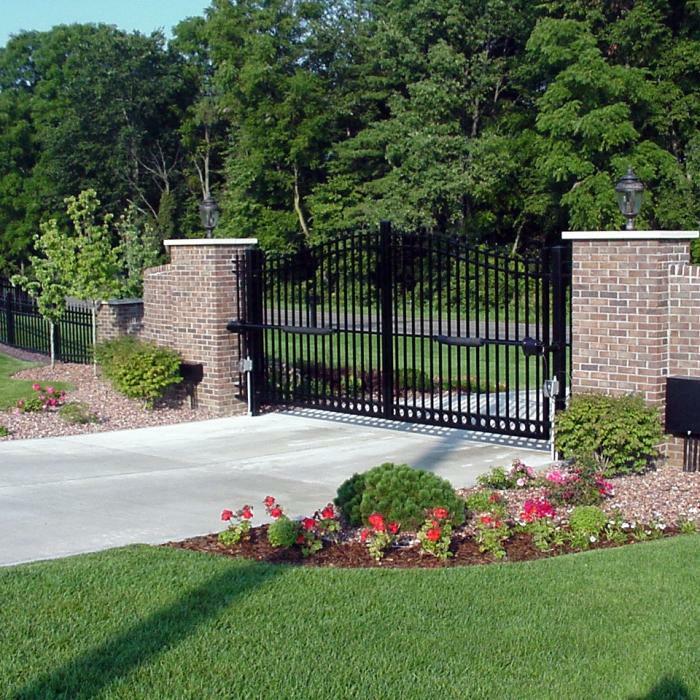 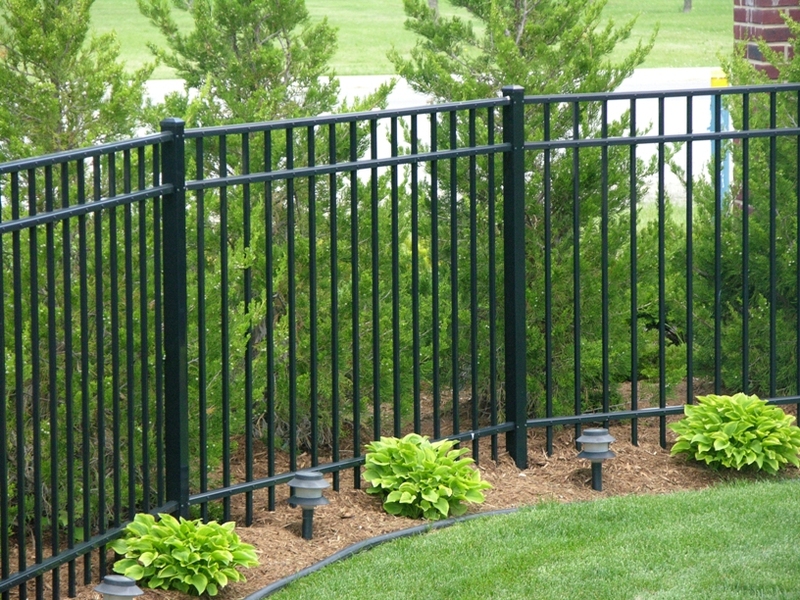 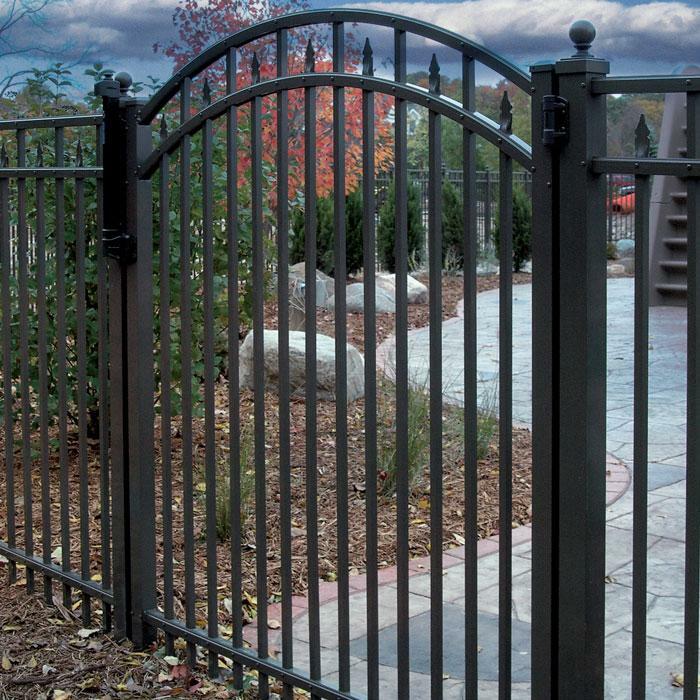 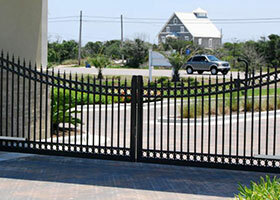 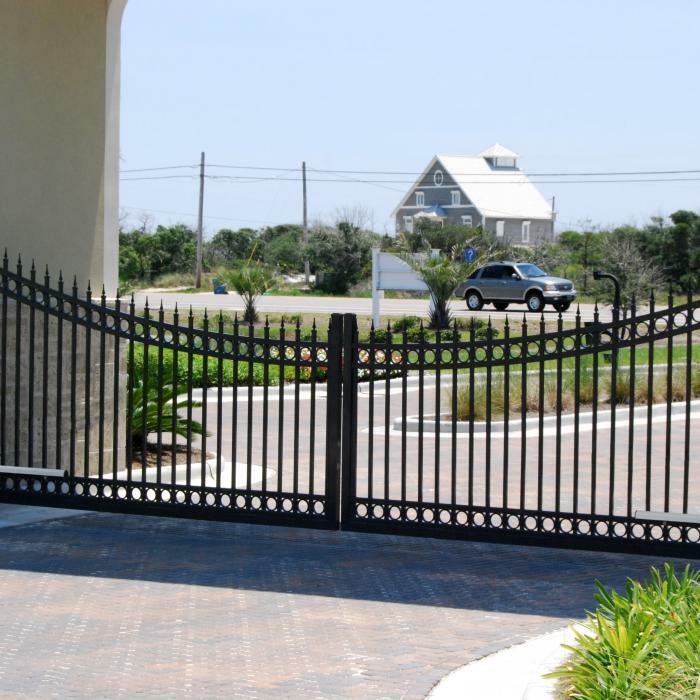 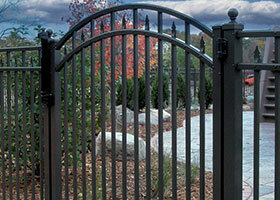 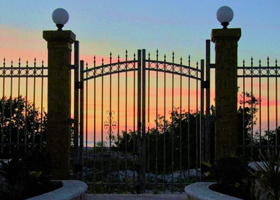 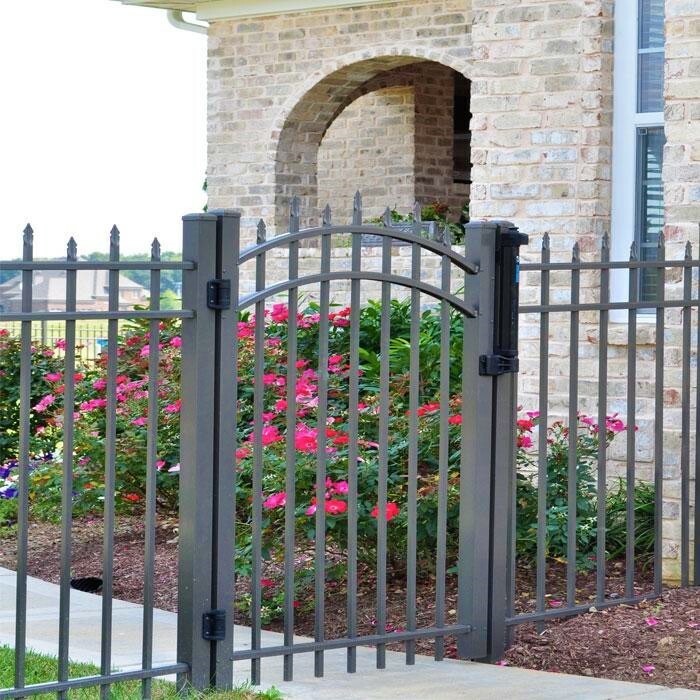 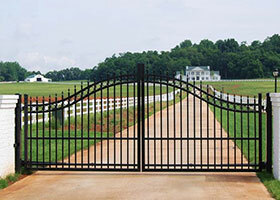 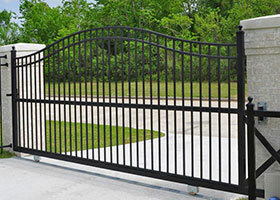 Aluminun Fence and Gates are shipped pre-assembled fast and easy to install! 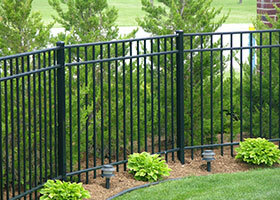 Choose any color: Black, White, Gray, Beige, Bronze and Forest Green. 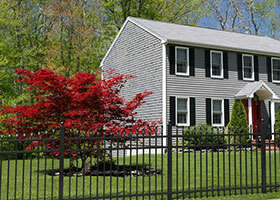 Custom colors are available. 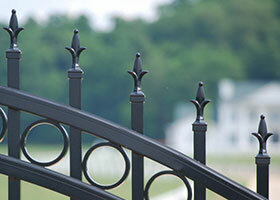 If you have a custom color preference or custom style you require, simply let us know. 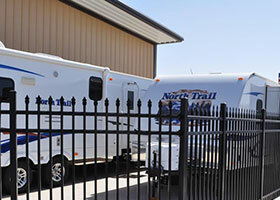 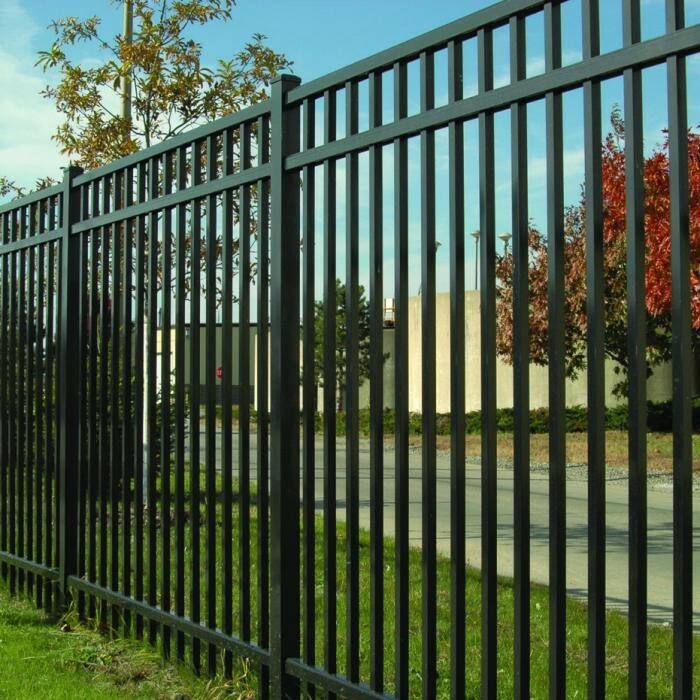 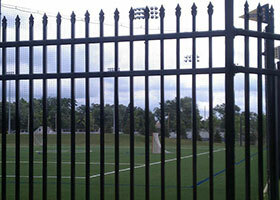 8′ Tall Aluminum Fence includes 4 horizontal rails for commercial strength. 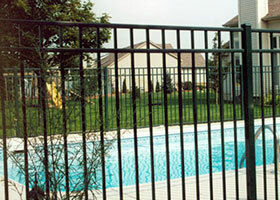 Free shipping for large orders. 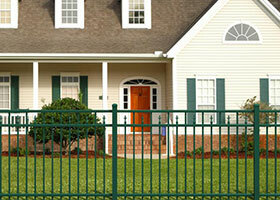 Contact us 24/7 For a Free Quote. 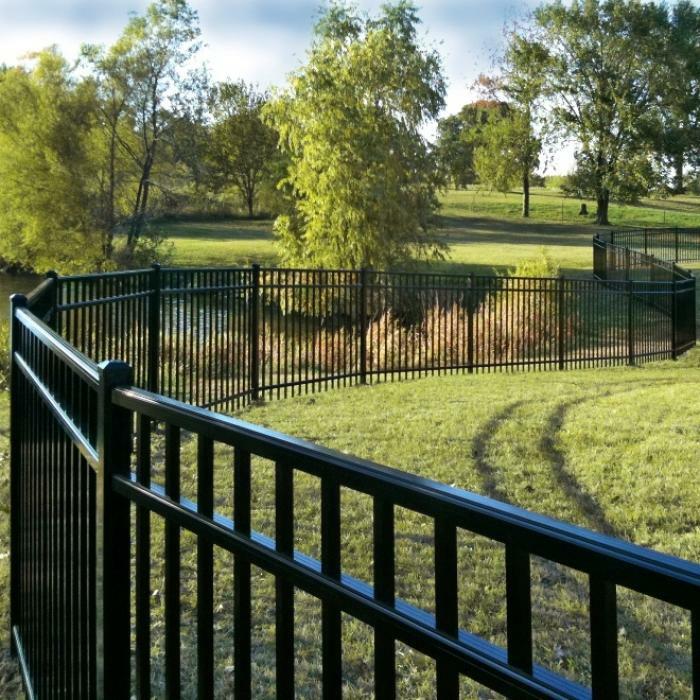 Choose Any Color: All Colors are the same price. 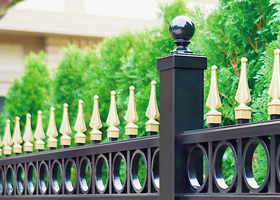 Heavy Duty Aluminum Fence Factory Direct. 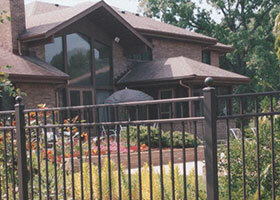 Contact us 24/7 for a free quote for your Aluminum Fence project. 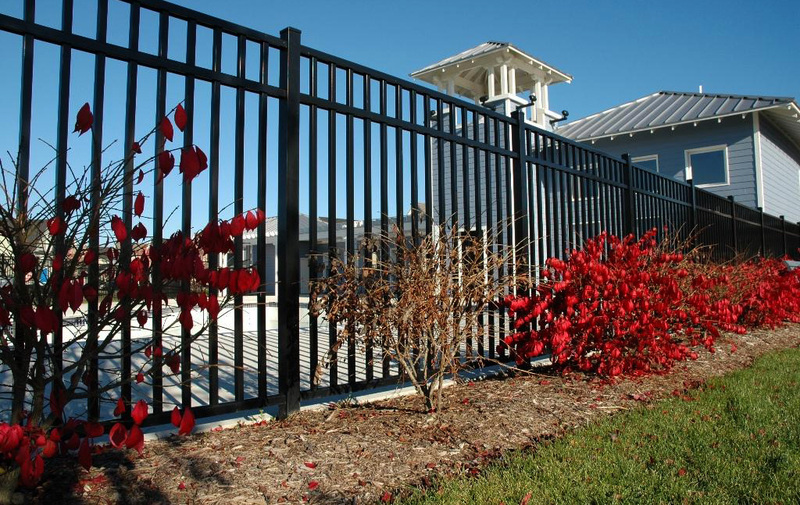 Over the years, aluminum has become an extremely popular fencing option for home and commercial applications. 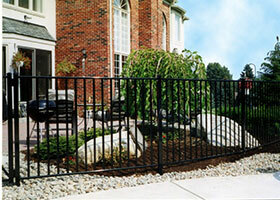 This trend is largely due to its practicality and affordable pricing. 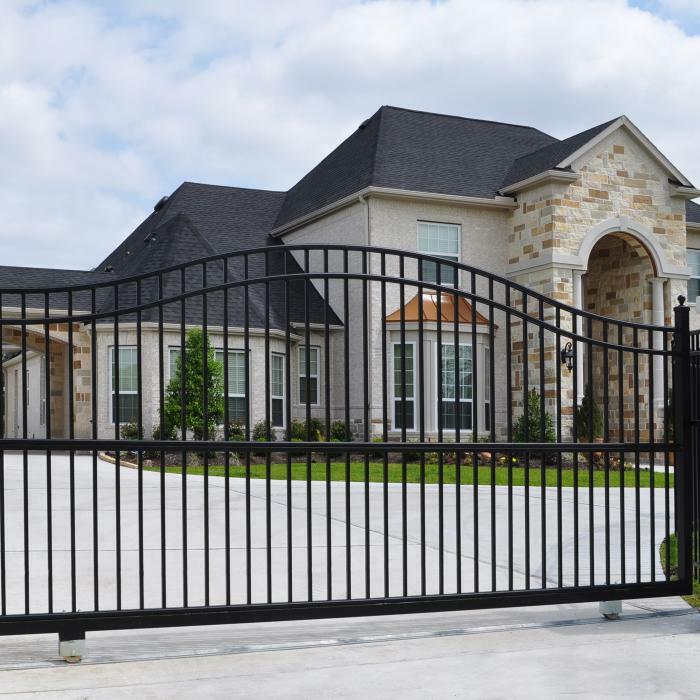 If you are still unsure if it is the best choice for you, we recommend reading below to learn about its remarkable benefits. 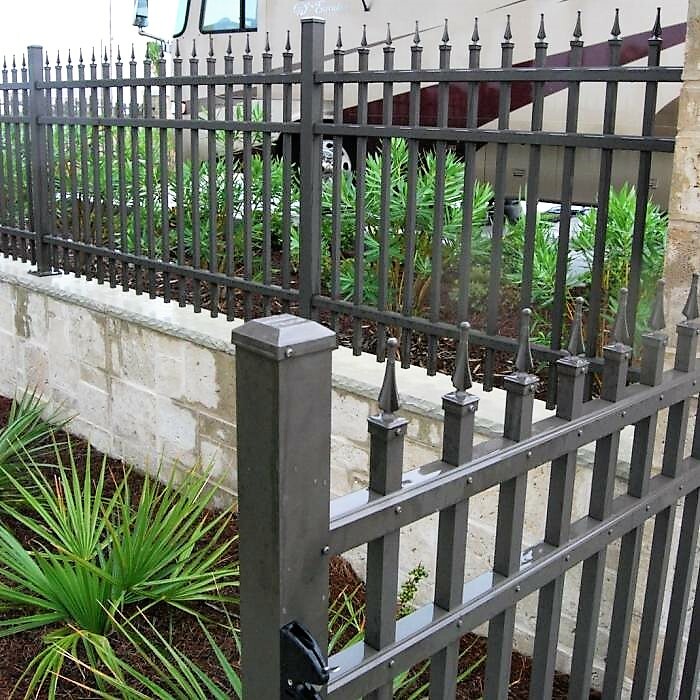 Unlike iron, aluminum does not rust. 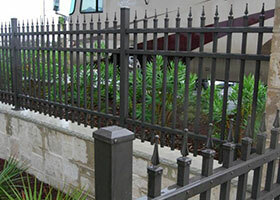 Metal experts classify iron as a ferric metal (which can oxidize), thereby causing such a reaction. 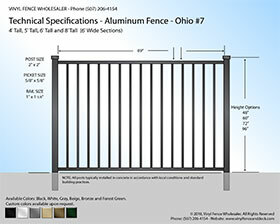 Aluminum does not fall within this group. 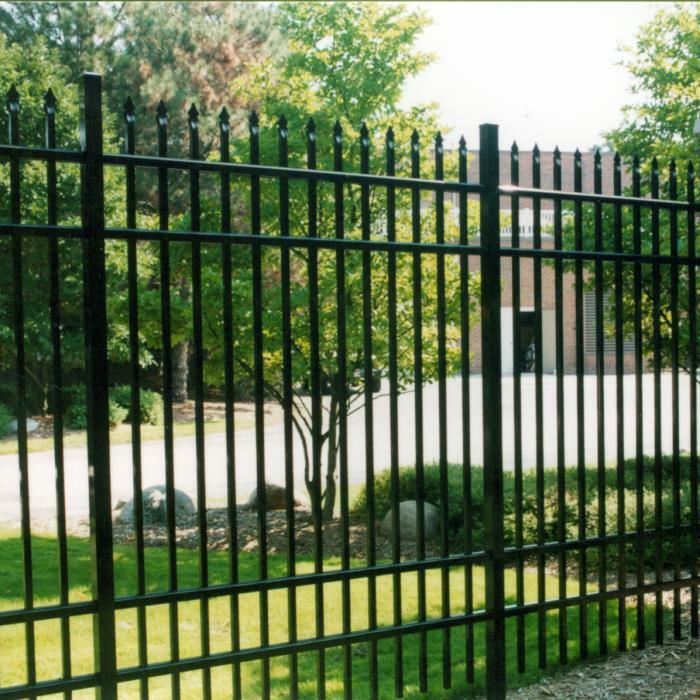 By purchasing and installing our heavy duty aluminum fencing, your will not have to incur the burden and costs that come with rust. 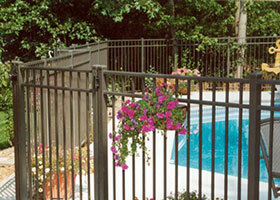 In fact, it is believed that it can take more than 10,000 years for aluminum to disintegrate. 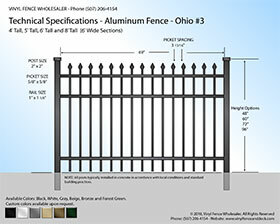 Our Ohio Aluminum Fence adds actual value to your property as our Ohio Aluminum fencing is 100% backed by our industry leading transferable lifetime warranty. 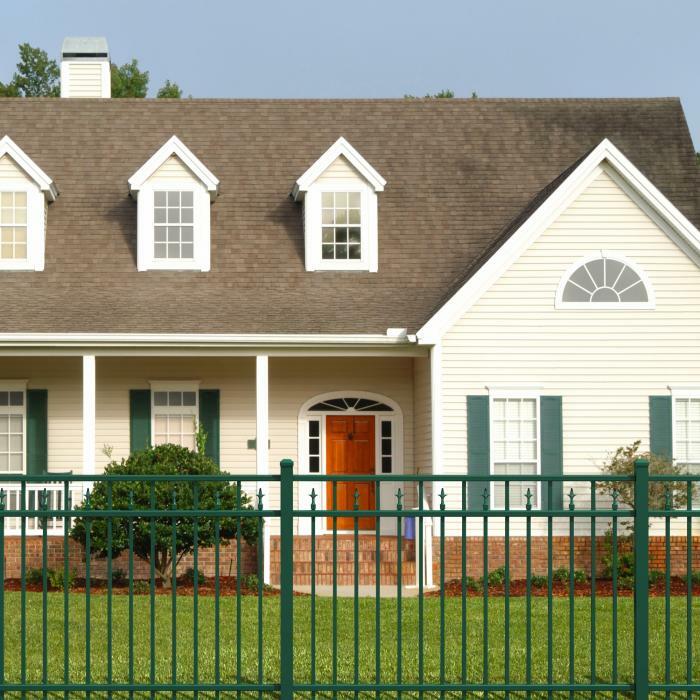 If ever you sell your property the warranty transfers to the next owner. 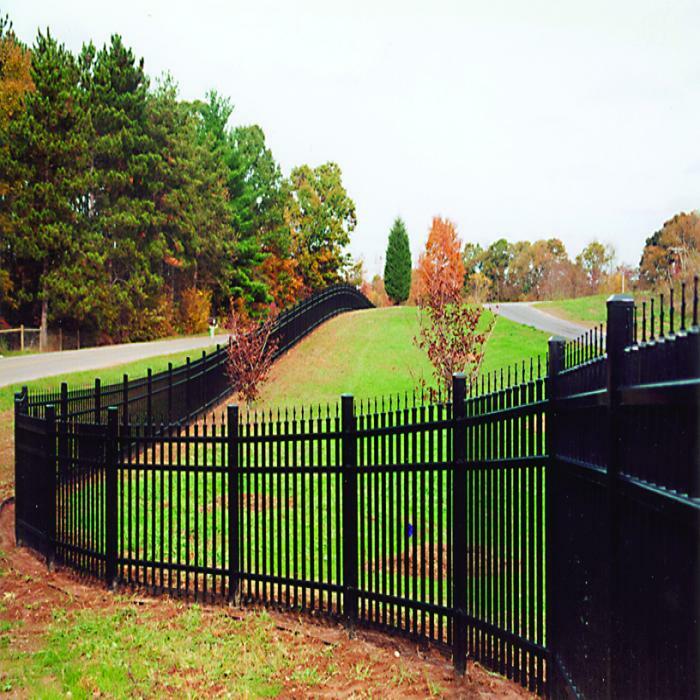 No paperwork nor registration is required as your fence is automatically warrantied as soon as you purchase from Vinyl Fence Wholesaer. 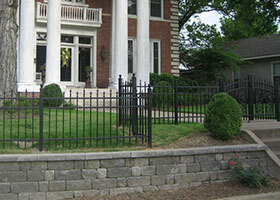 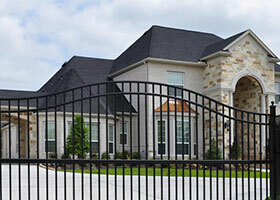 Aluminum fence tends to cost much less than conventional wrought iron. 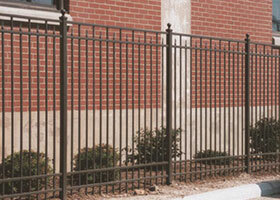 This is primarily because wrought iron fencing has to be fabricated in a workshop using expensive metal. 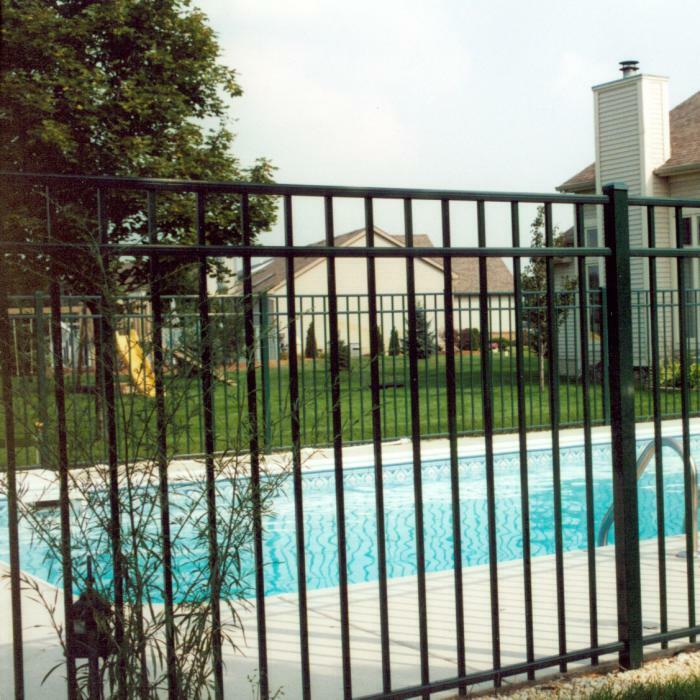 With aluminum fencing, the manufacturing process is much more cost-efficient. 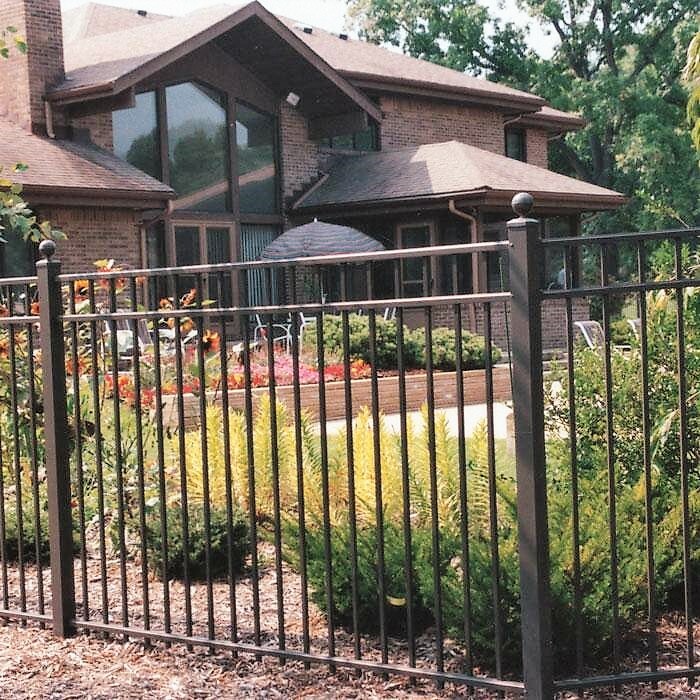 Aside from providing security and requiring very little maintenance, aluminum fencing will improve the curb appeal of your property. 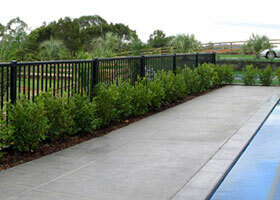 Most owners will tell you that it can blend with essentially all landscape designs. 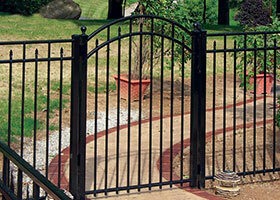 It can be also be obtained in a wide range of styles. 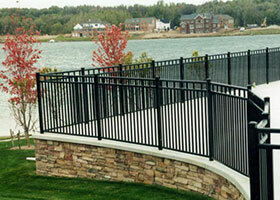 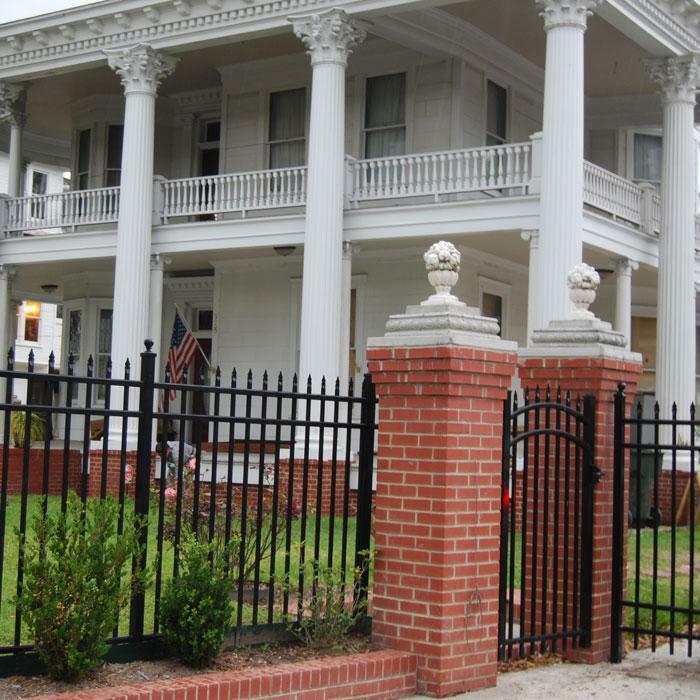 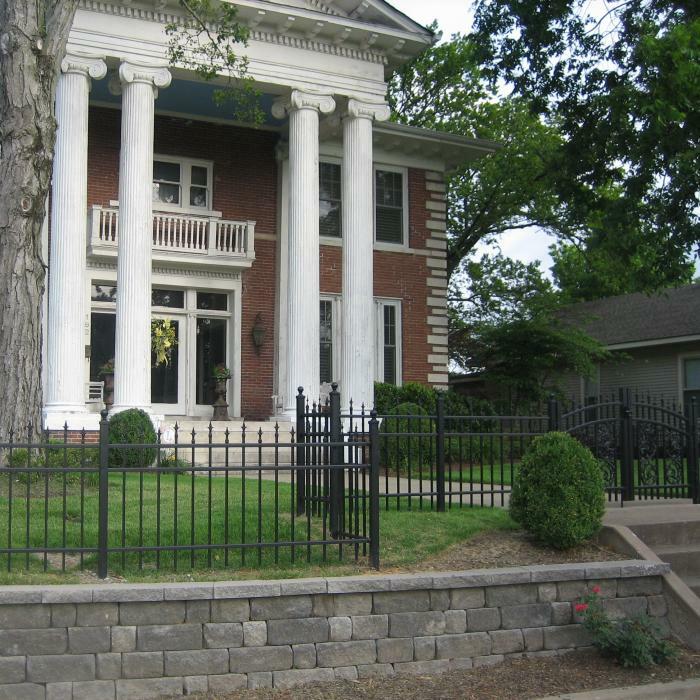 Unlike wrought iron fences, aluminum does not need to be painted often. 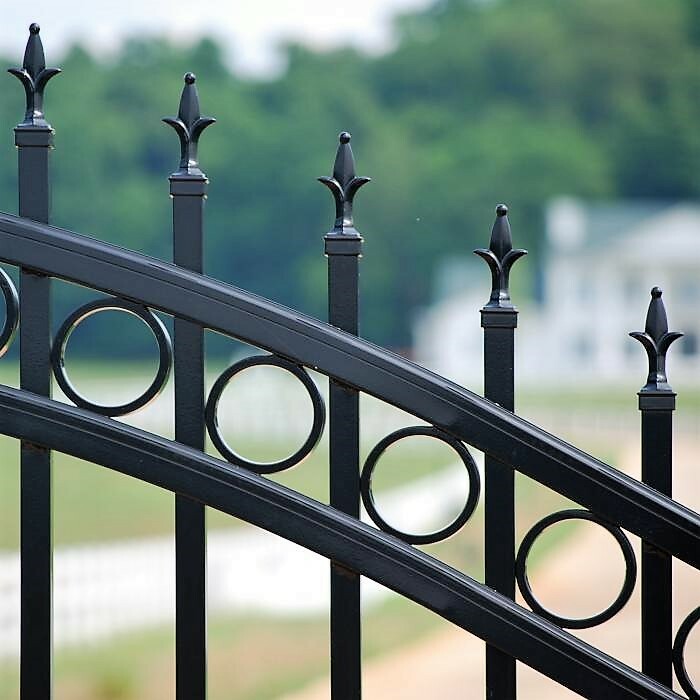 Once the manufacturing process is complete, it receives several protective coats, including a powder paint coating that will last for years. 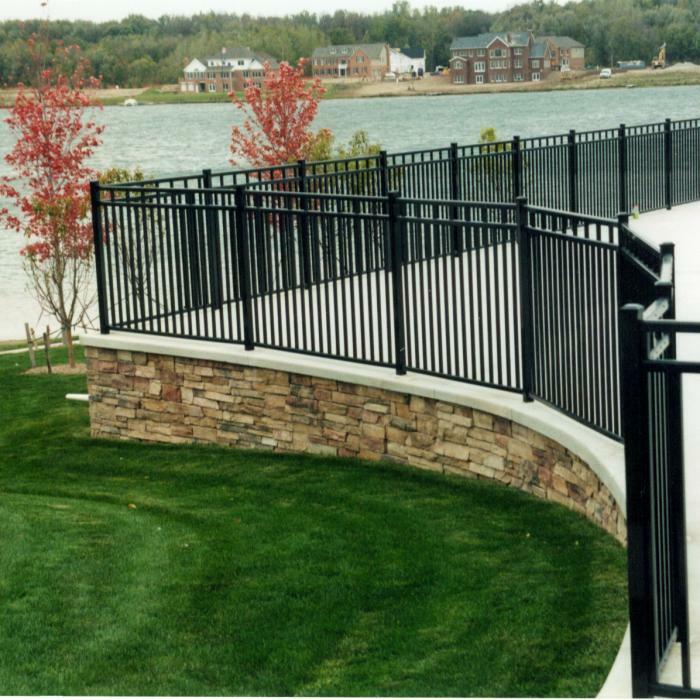 As each aluminum fence project is unique,the manufacturing process takes us 3-4 weeks as we make each panel and powder coat to order. Aluminum fence panels are simply to install as we ship these pre-built. 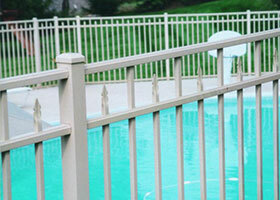 Our posts are routed to accept the panels. 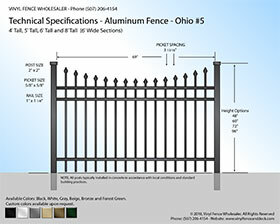 Simply set the posts and click the panel into place. 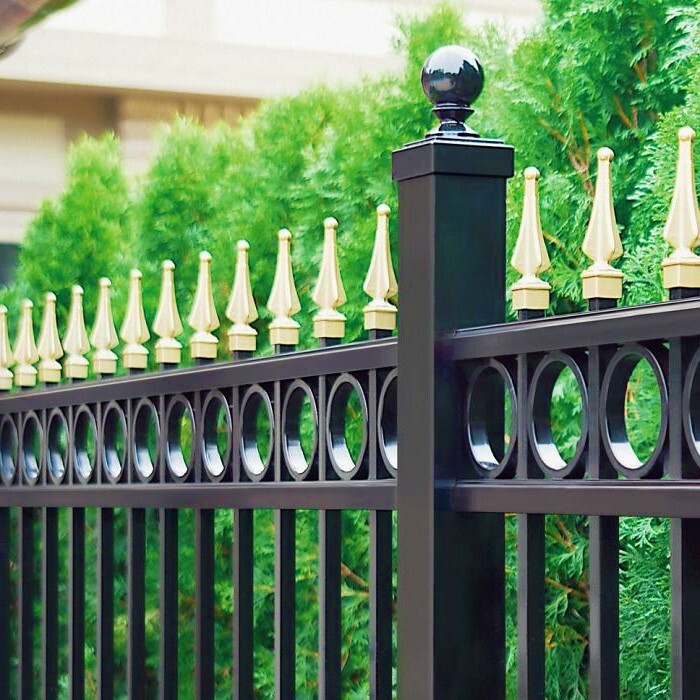 Our aluiminum is rackable for a mild grade variance. 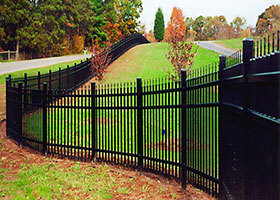 This means it can be adjusted to follow the slope of your landscape. 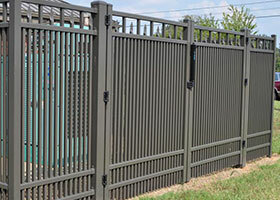 Owning a fence that is not rackable can lead to unappealing gaps. 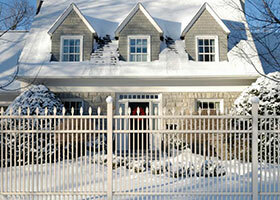 Wood fences can be easily scaled down, whereas their chain link counterparts can be easily cut. 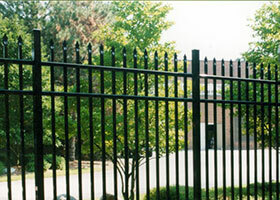 With aluminum fencing, however, the spear-topped pickets tend to be much more difficult to breach. 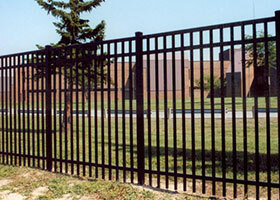 The benefits are many for purchasing factory direct. 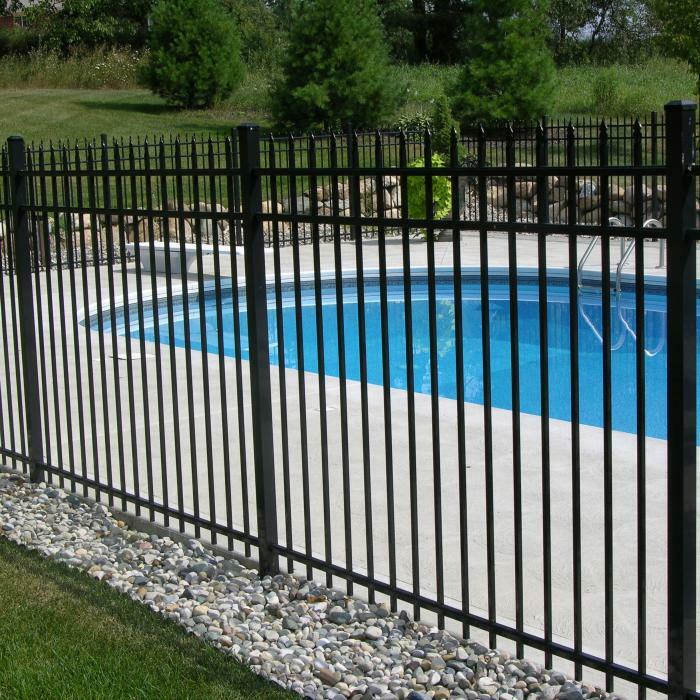 Our job is to provide you the very best aluminum fence avaialble and follow this up with compelete service including 24/7 installation support. 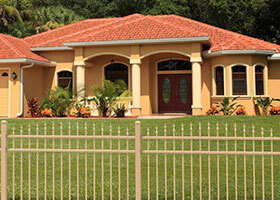 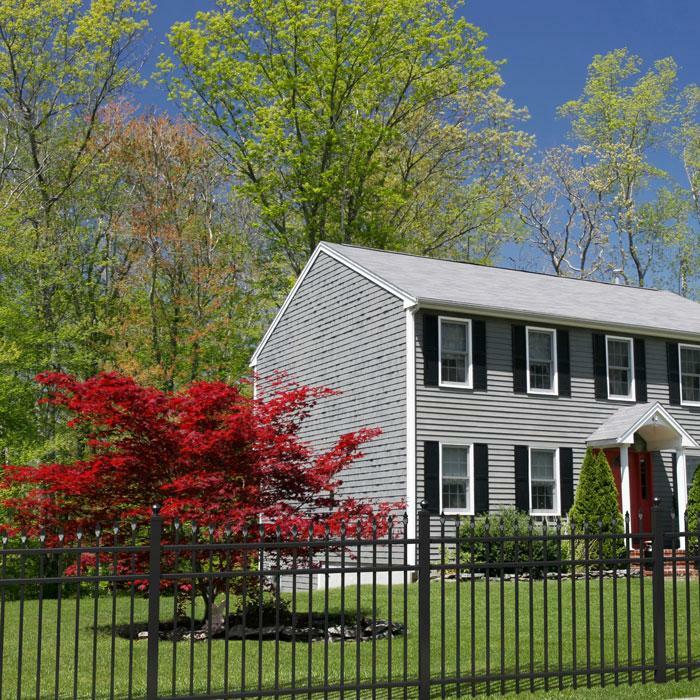 Vinyl Fence Wholesaler is dedicated to helping you find the best option for your needs. 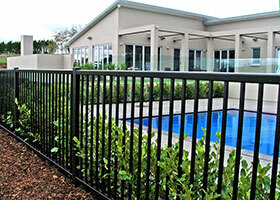 For further assistance, contact us anytime for a free quote for your project. 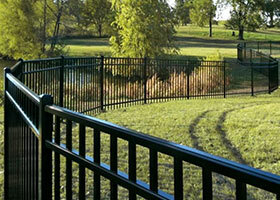 You can contact us online or by phone at 507-206-4154. We are always here ready to assist and hope to work with you on your aluminum fence project!